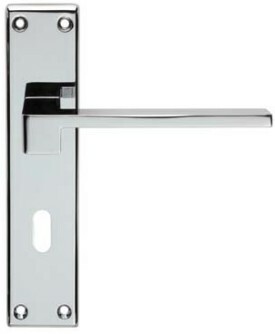 Equi door handles on back plate size 180mm x 40mm. Available in Polished Chrome & Satin Chrome finish. Picture shows the Lever Lock Handle.